At 5 P.M. on Tuesday, April 16, our Shooting team returns to school from their national prize presentation. They have just gone through a week of intensive inter-school competition and, now, back at school and enjoying a celebratory buffet dinner, the joyful looks on their faces speak volumes. 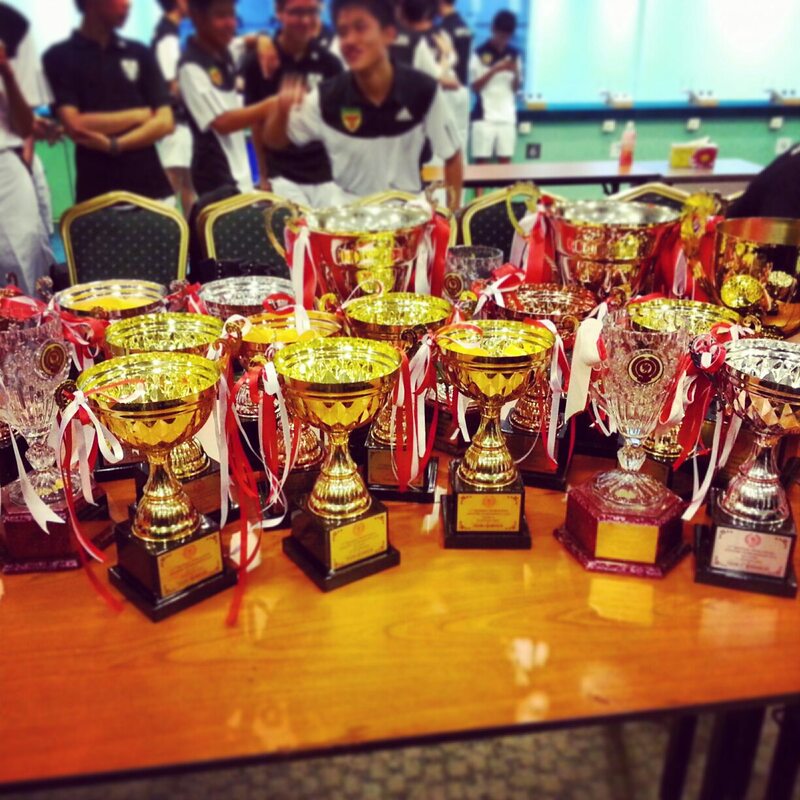 With 2 gold, 1 silver, and 1 bronze trophies in total, Raffles Institution was the best in overall standing for the college section. In addition to this, our shooters also obtained six individual medals (1st/2nd/3rd). 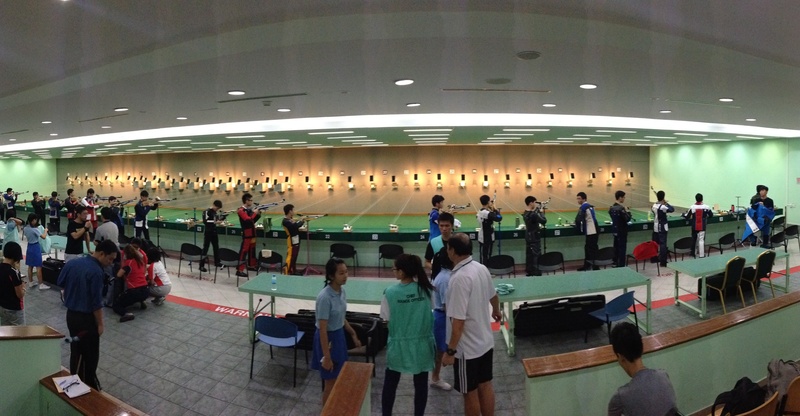 Our shooters faced stiff competition from long-time, undoubtedly strong rivals such as Singapore Sports School and Hwa Chong Institution, with Catholic Junior College in particular performing excellently, setting new Championships and Division Records in the Girls A Division Pistol finals. 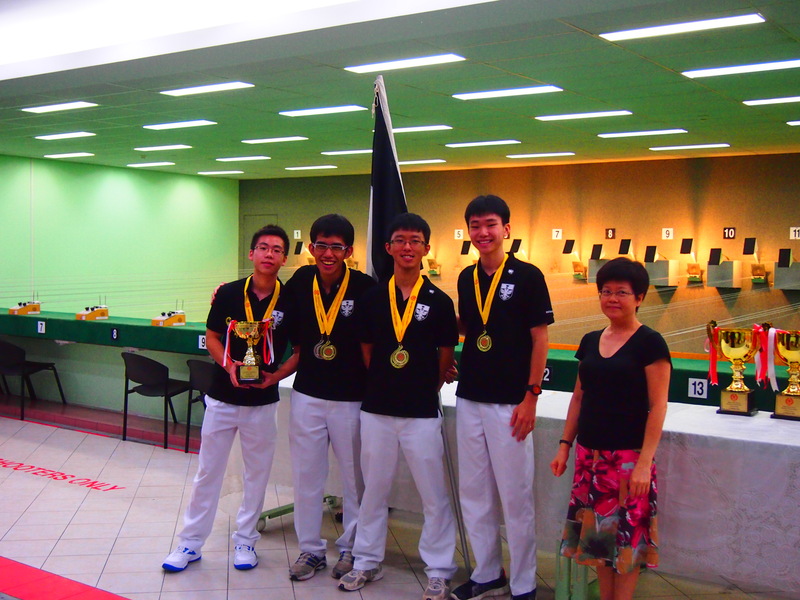 Nevertheless, our shooters retained their spirit and fought hard to gain top positions throughout the tournament. For the uninitiated, shooting, in one word, is a sport of discipline, and a game of endurance. Each individual has 60 shots with a maximum score of 600. If you think mistakes are part and parcel of the competition, you are woefully wrong. Each shooter we asked told us this: “Every shot counts.” A poor shot means that the shooter should take a short rest to regain clarity of mind so as to not make consecutive mistakes. National standards are top-notch; competitive shooters cannot usually afford to make any miscalculations in any of their 60 shots. Case in point, our girls beat Hwa Chong Institution in the air rifle category by a margin of four points out of a maximum of 1800, to attain team Gold. Similarly, the Boys Pistol Team dominated their rivals, arriving at a convincing team first with the top two individual positions in the bag. In addition, the Girls Pistol and Boys Air Rifle teams also performed well, achieving third and second overall respectively, all with at least one shooter in the top three for individual rankings. “Train hard, have fun, and do your best” is the motto that Herman, captain of the Shooting team, advocates. And this they did. Training up to four times (and sometimes even more) per week for nearly a month running up to the competition is no easy task, especially for the busy RJC student. 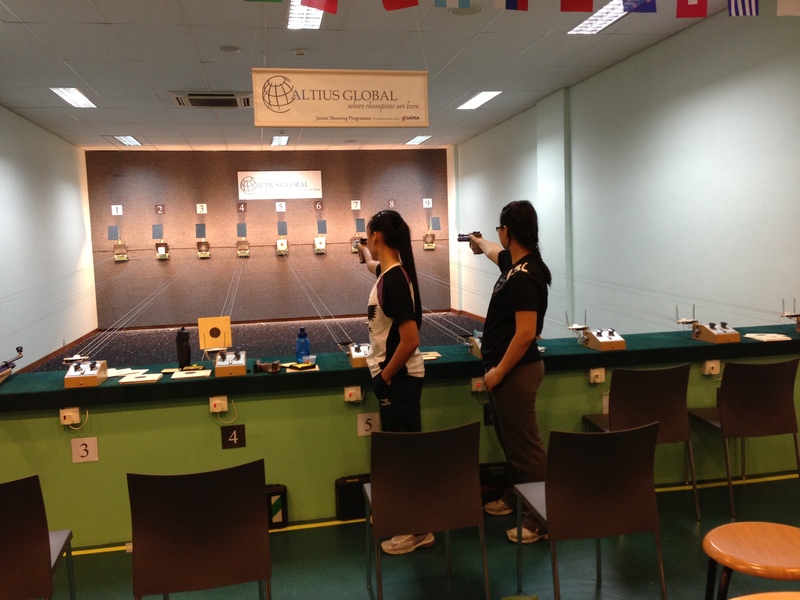 Pistol shooter Seah Yi told us that shooters regularly do tutorials during training breaks. And, as they train at Safra Yishun, with limited spaces, our shooters have to share the range with the rest of Singapore’s shooters, so training timings may not always be optimal. On some days, shooters end training only after half past nine at night, and with homework to top it off when they get home. Having pulled through the hectic pre-competition trainings, the final showdown is in an intense hour or longer, depending on the division. “Shooting is about having a quality of mind: one that is not shaken easily, one that can take the stresses of competition,” explains RI Year 1-6 Pistol coach Qian. The weapon categories and training methodologies of Pistol coach Qian and Rifle coach Li may be different, but the basic mindset is similar. Glen of the Boys Rifle team demonstrated this trait wonderfully in maintaining his composure after his gun malfunctioned, resulting in a 10 point deduction, a heavy penalty for shooters of his calibre. 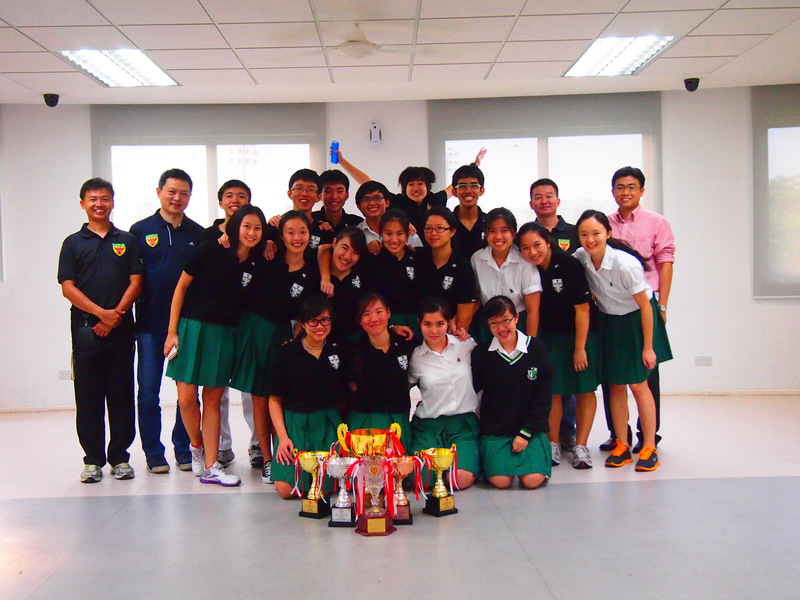 However, he managed to salvage his competition, with the team falling behind Hwa Chong by a margin of 13 points. The competition may well have been won if not for the unfortunate malfunctioning of his rifle. “Those were stressful minutes,” confessed Seah Yi. At such a level of competition, he went on to say, the competitors’ skills were roughly equal, if not better than the Raffles team. The concentration that shooters have to maintain becomes the most important factor in shooting well and excellently. Interruptions are the bane of competitors: one has to retain a cool head and undistracted mind to shoot well. “It’s a mind game,” he said. The Girls Pistol team may have achieved a bronze this year, but it was still an achievement for the team. Coach Qian is very satisfied with the results the team delivered, and hopes that the team would continue to work hard. For detailed scorings, please visit the SSSC website. Please Mind The Platform Gap: What Kind of PW Groupmate are You? Have you gotten your PW group? Anxious about how well your group dynamics will play out? Read about common PW groupmate types in our article!